Out for Public! 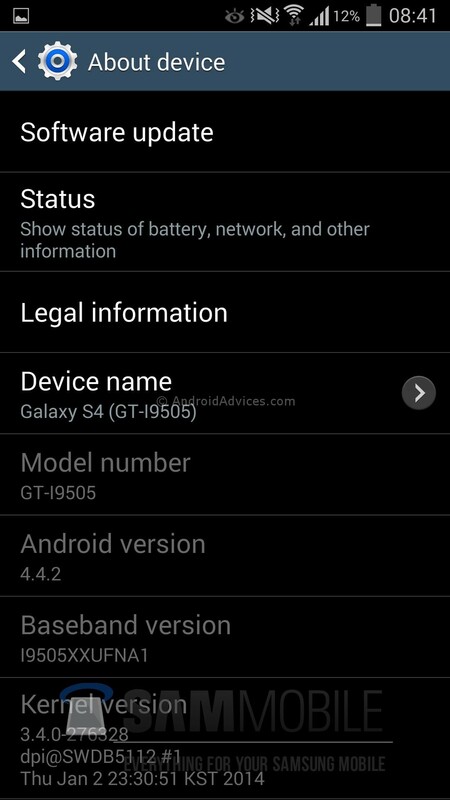 Samsung Galaxy S4 I9505 Android users will soon witness the latest version of Kitkat 4.4.2 which is dubbed as XXUFNA1. This all new firmware is already being pushed by Samsung starting European region first. Though there is no ETA on by when this firmware will be pushed to all the devices internationally, you can till then follow this article to manually get your device updated with this latest version of Kitkat. In this new firmware, Samsung has implemented a camera shortcut direct on its lock screen and also fixed almost all the bugs which were otherwise hindering a bit in Nexus 5 Android phone. After a quick list of pre requisites mentioned below, let’s head over to the detailed guide which will help you upgrade the device. Note: Being the official firmware released by Samsung, applying this update won’t root the device in any manner. Also, applying this firmware won’t void the warranty in any manner. All the data in your device should be backed up so as to make sure that the same can be restored easily. Make sure that you are not backing up the data with the help of KIES tool as it may not help you restore the data. Click on “AP” tab in the Odin to select the tar file “I9505XXUFNA1_I9505OXAFNA1_I9505XXUFNA1_HOME.tar.md5” you got after extracting the firmware package to click on “Start” in Odin. Do let us know in the comments section just in case if you face any issues in the process of firmware update. 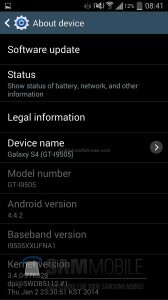 You have now successfully updated the latest version of KitKat 4.4.2 Android firmware in your Samsung Galaxy S4 Android smartphone. 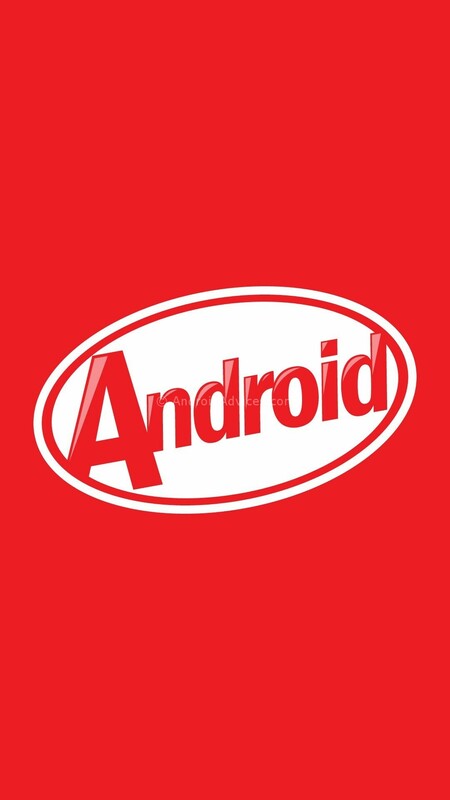 We will very soon be coming up with the custom ROM firmwares which are based on the KitKat 4.4.2 Android firmware. does this work on XXUBMGA GT-i9505??? does this work on XXUBMGA GT-i9505? Applied this update but big battery drain from android OS. Seems to be a big problem. Further investigation here to look what part is killing the power. 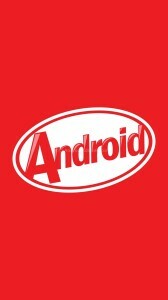 Hey pradeep neela can i try this update for my I9500. U have answerd we can apply. Can I follow this procedure for Samsung Galaxy S4 i9500 ?